After 23 years at BoatUS, Margaret Bonds Podlich said today that she is stepping down as president, effective Friday. A search has been initiated for a permanent replacement to lead the national boating advocacy, services and safety group. “We want to thank Margaret for her many years of service and dedication to America’s recreational boat owners,” BoatUS CEO Kirk La said in a statement. 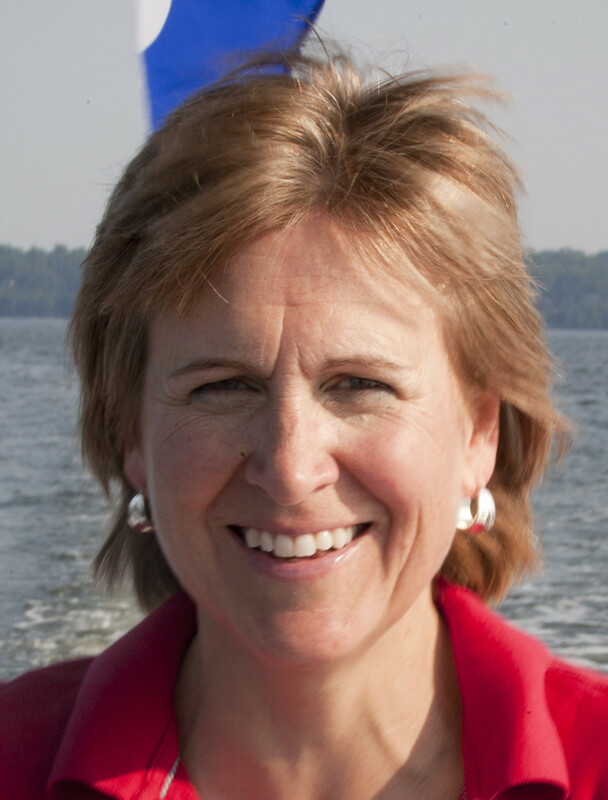 Podlich began her career at BoatUS in 1993 as director of the Clean Water Trust, now part of the 501(c)(3) non-profit BoatUS Foundation for Boating Safety and Clean Water. Under her direction, the trust (and later the foundation) grew to play a national role in clean water issues that affect recreational boaters. Many of today’s Clean Marina programs were developed under Podlich’s vision and leadership, and now these efforts are accepted as an essential part of managing a boating facility. A 2014 honoree of the Darlene Briggs Marine Industry Woman of the Year award, Podlich also worked to promote boating safety initiatives and participated on the prestigious Coast Guard National Boating Safety Advisory Committee. As former BoatUS vice president of government affairs, Podlich supported realistic, boating-friendly policies and helped successfully pass the 2008 Federal Clean Boating Act, which freed boaters from a new state operating permit. Podlich is also credited with leading BoatUS to work with the recreational boating industry, working on policy and programs mutually beneficial to boat owners, manufacturers and service providers, such as combating the spread of ethanol fuels and saving the GPS system. In 2012 she received the NASBLA Award from the National Association of State Boating Law Administrators, its highest recognition, for notable contributions to the betterment of boating. Along the way, Podlich campaigned her Laser sailboat in national championships, most recently taking the top women’s radial trophy at the 2014 U.S. Laser Masters Championships and the Atlantic Coast Championship. She was also a crewmember on the 2006/2007 U.S. Sailing Team, campaigning the three-woman Yngling while vying for a slot in the 2008 Beijing Olympics. BoatUS said Podlich made it her mission to be a “president of the people,” taking great effort to address BoatUS members’ concerns. When boating on her family’s small fleet of both sail and power watercraft, she was known for approaching other vessels flying the BoatUS flag, eager to talk boating.